Jesus left us something tangible after the work of the cross for us to not only remember Him by but for us to ENTER INTO every single day. Most believers have only known to take communion perhaps once a month in church, but that is not what Jesus said to do. There was no limitation to how many times we are to “remember Him” in His death by taking communion. I desire to remember Him every day. There is so much mystery when we study “remembrance” and what it is that Jesus meant by that. There is scientific evidence that proves Jesus’ proclamation through His blood and how the scripture says His blood continues to speak and it is still speaking to us today within the code of His DNA. We are to take communion with deep affectionate reverence. We are to also do it with understanding and revelation insight as to what is happening on the inside of us when we do take communion and engage in it as we eat His body and drink His blood in this very sacred act of worship with symbolic elements that take us to real heavenly places. Taking communion is not just for taking it at church once a month out of ritual. We are to take communion based on an intimate and affectionate relationship with God Himself out of revelation just like Jesus revealed to it His disciples and the Apostle Paul, with specific instructions and protocol. The disciples broke bread every day. Why did they do it every day? They understood it through revelation knowledge into the mystery of what Jesus gave to them and that revealed mystery caused them to walk in such power and authority that even Peter’s shadow healed the sick. Are we, the church, living in a place that has not realized the full potential of engaging in eating the DNA of the body and drinking the DNA of the blood of Yeshua? Science has proven that DNA has billions of strands of code that is the blueprint of life. Jesus left behind His blueprint design of life for each one of our lives within His DNA. We uncover His blueprint design for our lives when we actively take communion, partake of it and engage in it on a very intimate level of relationship with YHWH every single day. I don’t believe partaking of communion was meant to be taken once a month at church. I believe it was designed to be engaged in every single day in our intimate walk with God. One of the reasons many believers are powerless in their walk with God is because they lack the revelation knowledge, insight and practical understanding of what they are doing when they take the Lord’s supper and what God purposed for it to do inside of them. We have taken communion by faith in church because that is what we were told to do and we did it by faith. But we did it without the full understanding of the mystery of what it is meant to do not just at the time of salvation but also after salvation and for the rest of our lives. Jesus left us a blueprint. His blueprint for life. There is a code of life within His DNA that He desires for each of us to uncover and discover that is full of life and power that causes us to live in a much higher frequency level that the frequency level of this earth. Being seated in heavenly places means we have to visit heavenly places and Jesus said that the only way to the Father in through union with Him. And to be in union with Christ is to partake and eat of His body and drink of His blood regularly and consistently. He is the way, the truth and the life and the pathway for us to access heaven not just when we die but now while we are alive. Jesus is the door, the path and the life that we must ENTER INTO now to discover the realities of heaven even before we get to heaven. Jesus said we would do more things than He did and He operated with heaven’s power and authority which He desires for us to also flow in every single day. Entering into the mystery of the DNA of the body and the blood of Jesus through communion is something that every church, every leader and every believer in Christ should be entering into every single day. 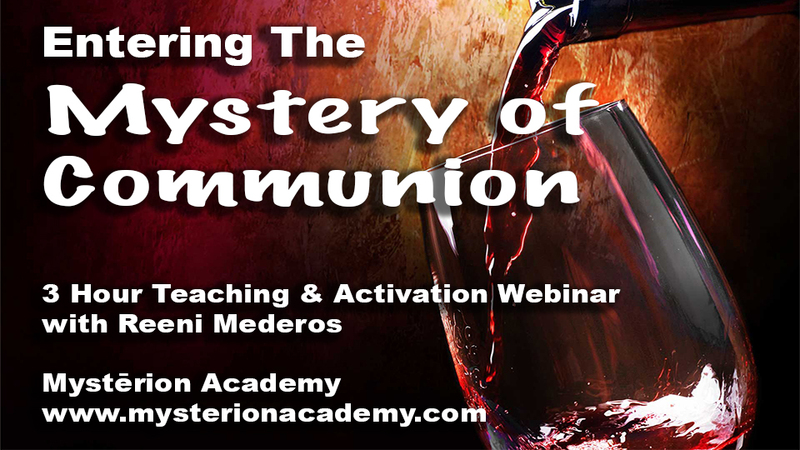 In this 3-hour teaching & activation webinar, I will share with you my journey from the last four years of my life as I have been taking the Lord’s communion every single day. 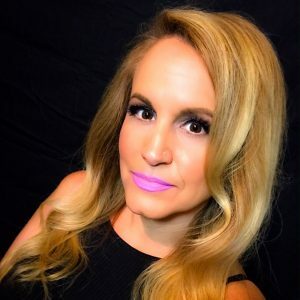 I will share with you what it has done for my life, how transforming it is and how it will transfigure your entire being as you progress with it and are consistent with entering into the mysteries of the depths of fellowship with the Father, through the incredible sacrifice of Jesus’ body and blood. I have taught many times on this subject in bits and pieces throughout my teachings and in applying taking communion on behalf of our families and our nation. It is imperative for you to have the revelation knowledge of this beautiful mystery as you will learn to make it a lifestyle that you can’t live without because of the explosive power and authority it brings along with the deep cleansing of your bloodline. After the teaching, we will have a time of questions and answers and we will also enter into some activations and take communion together corporately as a class and walk through the process of what actually happens every step of the way when you take communion, understanding very specifically what you are doing and why you are doing it and why God wants you to enter into this mystery to your maximum potential. God wants to empower you, deliver you, heal you and cleanse you on a much deeper and higher level than what you have known but with ease of understanding of entering into the beautiful mystery of communion that God longs for you to have as His beloved son or daughter. I am very excited to bring this revelation and mystery to you from the depths of my heart as God has taught me in my time with Him and how very life changing it is for those who embrace the mystery of communion and the preciousness of the sacrifice of the DNA of the body and the blood of Yeshua. This webinar teaching will go very deep into the subject matter, and I will share things I have not shared before in my other teachings. As with my other webinars, I spend a lot of time in prayer and study, and it is my pleasure to pour my heart out and give you everything I have and everything I know concerning communion. God longs for you to be fully equipped because His longing is for you to be deeply intimate with Him in every way. It is His pleasure to give you His kingdom, and it is my honor to reveal and teach you the mysteries of His kingdom with my whole heart as God leads me and graces me to do. I look forward to seeing you in the class! Optional: Be prepared to take communion together as a class to honor the Lord Jesus Christ with the first fruits of our time and have your communion elements ready such as a piece of cracker and water or juice. Watch Anytime On-Demand Video at your leisure. Unlimited On-Demand Access to this video as long as this class is available online. For further assistance, please email us at hope@reenimederos.com or call or text (404) 220-7771.